Iron Horse Ranch is a master planned community in the eastern part of Edmond, Oklahoma at Coltrane and Coffee Creek Road, just west of Interstate 35. 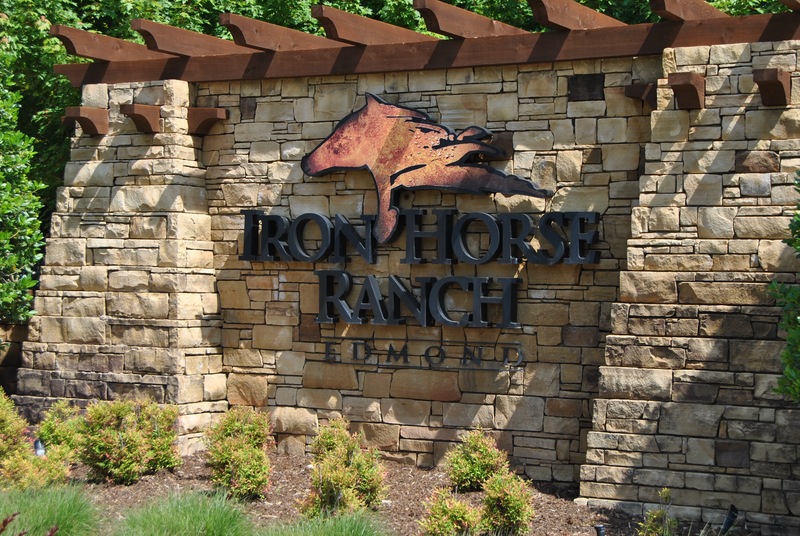 At Iron Horse, home owners get the option of living in a ranch like community in a location that is easily accessible to city living without foregoing the rustic charm. This neighborhood offers a wide array of amenities including; a neighborhood pool, a lodge style club house, lakes, gated entrance, walking/running trails, and pristine landscaping with a variety of trees. With the Centennial Elementary school within walking distance, it is the perfect neighborhood for growing families. Houses in this neighborhood are far from cookie cutter, each having their own unique style but staying within the requirement of the neighborhood covenants with brick and natural stone. House options can vary from traditional, bungalow style, modern, mountain style or more. The option of floor plans and designer inspired interiors are endless allowing a home buyer to choose from open floor plans, upgraded landscapes, hand scraped wood floors, green belts, and much more. There are many price options to be made in buying your home in Iron Horse Ranch. Houses in this community can range from 300,000 to 1.1 million in price. The neighborhood offers new homes with a variety of different builders to choose one that best reflects your style. 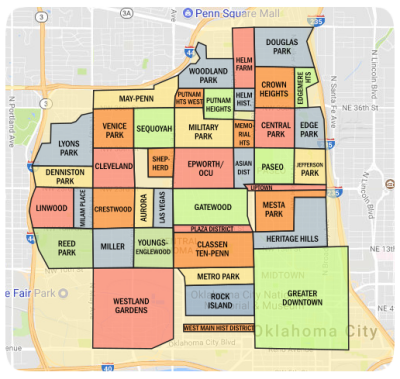 From new construction to previously owned homes, a home buyer has a ton of options within the Iron Horse Ranch Community. Iron Horse Ranch is within close distance to various shopping, dining, and entertainment options including Uptown Grocery, Walgreen's, Pepperoni Grill, Life Pharmacy, Lowes, and Mitch Park walking and running trails and the YMCA. 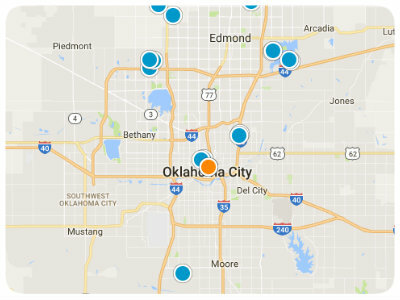 The community is also within close distance to Interstate 35, making it a quick commute to midtown, or downtown Oklahoma City.